Many years ago, I came across an old image in a book. It was a 19th-century, black-and-white photograph of what appeared to be a cluster of Egyptian-style pyramids located somewhere in Sudan. The haunting photo showed a group of relatively small but steep pyramids jutting defiantly out of a sandy plateau. Photographed by an American archeologist, they seemed very different from their superstar Egyptian cousins far to the north at Giza. Instead, they looked like a collection of broken fangs pointing into a Martian sky. 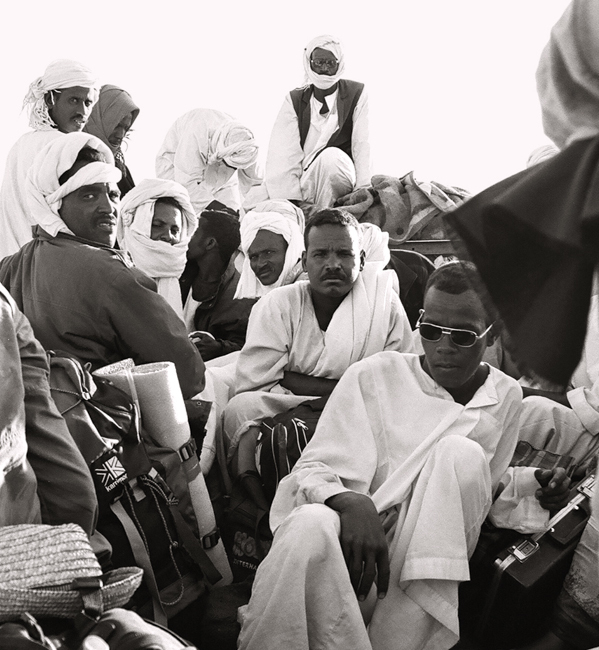 Many years later, I found myself huddled atop an aging Bedford truck with more than a dozen Sudanese villagers, heading straight for that entrancing desert locale, the ancient city of Meroë. Meroë, on the east shore of the Nile, served as the late capital of the Kingdom of Kush, a Nubian civilization at the southern fringes of ancient Egypt, in what is today northern Sudan. The Kushite kingdom is considered one of the oldest civilizations in the interior of Africa, dating to the third millennium BC. Shielded by its obscurity and by the vagaries of war and pestilence, the kingdom and its pyramids have managed to escape the worst of the frenetic tourist activity that has befallen its Egyptian relatives downstream. I was travelling overland from Cairo to Khartoum, the Sudanese capital – a route that would traverse the very heart of the ancient kingdom. To reach the ruins of Meroë, and ultimately Khartoum, would require a harrowing trip several hundred kilometres through the Nubian Desert. 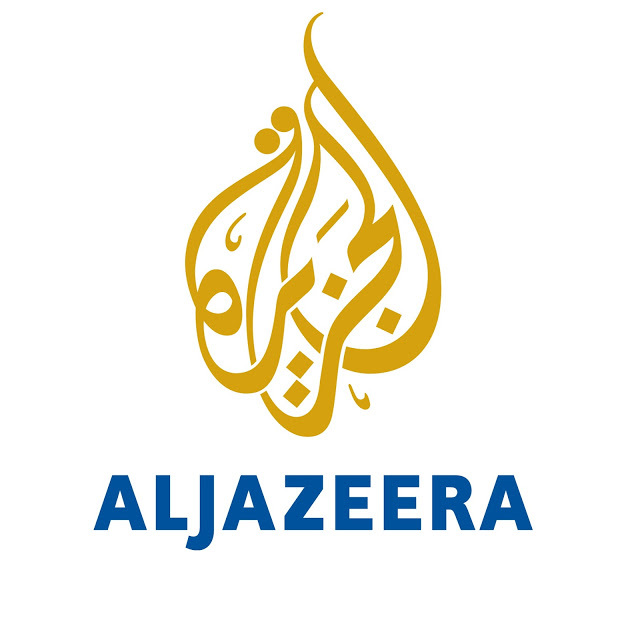 The journey began in earnest at the port of Wadi Halfa – the desolate and sleepy Sudanese border town located on the southern shores of Lake Nubia, the Sudanese portion of Lake Nasser. Leaving this isolated outpost required choosing between one of two equally daunting modes of transportation: a weekly train, notorious for its slowness and numerous breakdowns, or Bedford trucks used to ferry both people and goods to a constellation of towns by way of unpaved desert tracks. Both trips promised to be multi-day affairs. I opted for the truck and found a driver who asked a reasonable fare. Joining me atop bags of cement in the open bed of the truck were a collection of villagers and vagabonds. After what turned out to be a four-day ordeal, which included flat tires, sandstorms and starry nights, I arrived at Meroë fatigued, aching and covered from head to toe in dust. 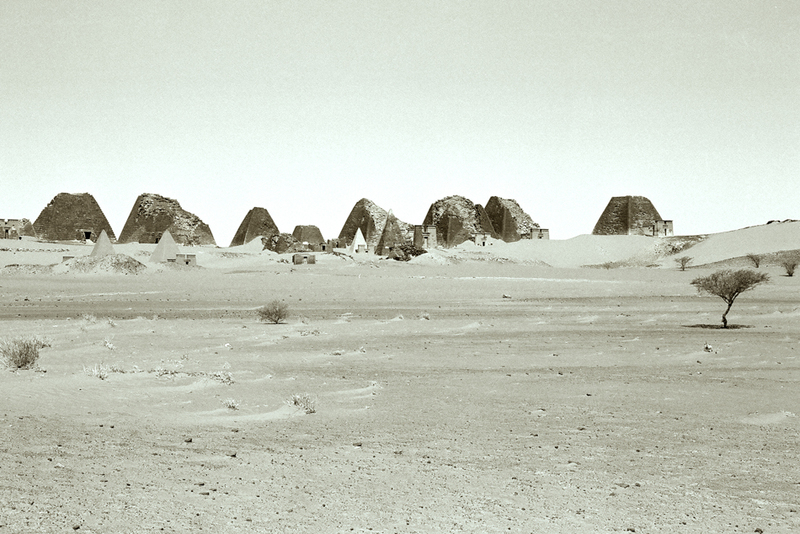 I was abandoned by the side of the road to a crushing stillness made more awesome by the sight of the Nubian pyramids. My arrival in the early morning helped ensure a solitary viewing of the site. For hours, I waded across small dunes, moving unobstructed between the various pyramids. Later, taking in the whole view from a distance, I couldn’t help but feel a sense of achievement: I had secured a private audience with the deceased kings of Kush. By late morning, however, the scene began to change in painful increments. Several white SUVs filled with tourists appeared, a few hustlers arrived to push camel rides, and a guide made his way across the dunes. As I headed toward the site’s exit, the proverbial horse-drawn carriage truly turned into a pumpkin. The package tourists had found Kush, and a fledgling economy had begun to take shape around them. Later, as I stood waiting by the roadside for the next truck bound for Khartoum, I continued to gaze from a distance at those pyramids and marvel at how close I had come to another time and place. This story appeared in the Globe & Mail on February 9, 2009.